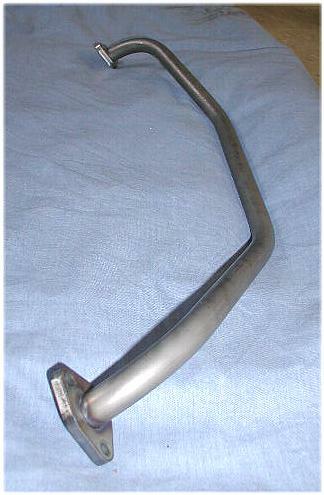 Zarwerks is very proud to announce a whole new line of parts and services for the "K" intake manifolds that are used on '52 and earlier VW Beetles. This page lists our services and parts. Complete reproduction K manifolds for April '50 and earlier Beetles. These manifolds feature fully functional heat risers made of seamless steel tubing with 2mm wall thickness and correct metric spec outside diameter. 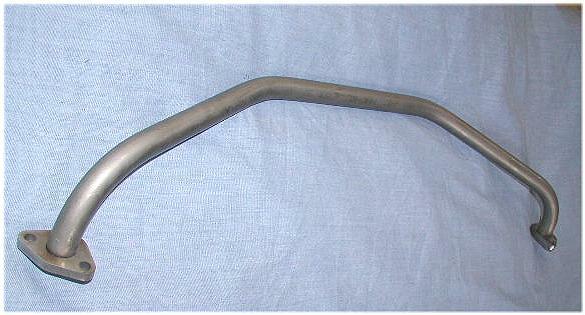 The riser flanges are laser cut from 6mm mild steel plate while the end casting of the intake tubes are original VW. Our painting process is second to none. 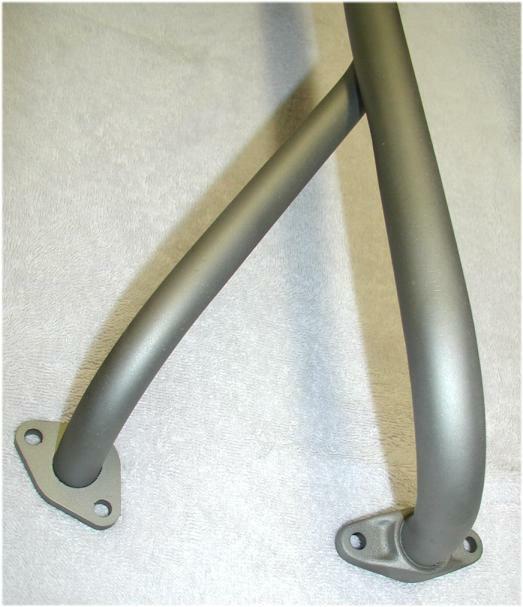 these manifolds are media blasted, and then sprayed with a 1200F hi temp paint in the correct gray color. They are then baked for 1-2 hours at 375-400F for curing. 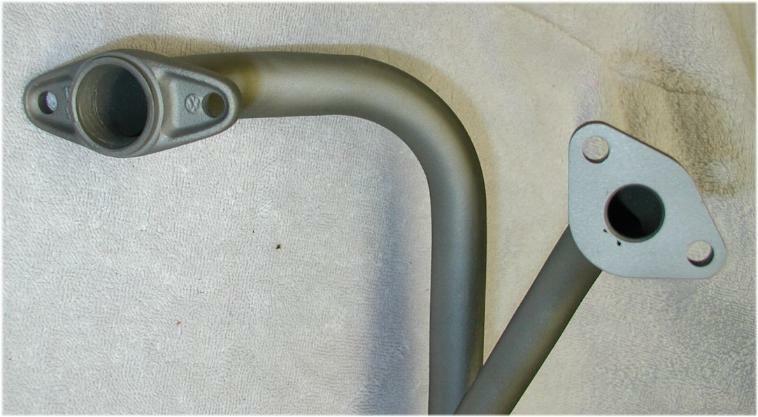 This paint will not bubble, flake, burn or discolor, even at the "hot" end of the heat riser. Complete heat riser repair section for repair of your own K manifold. Seamless heat riser tubes of 2mm wall thickness and correct metric spec outside diameter. Jig welded flanges for perfect alignment. Welds inside flanges are ground and finished. Unpainted. 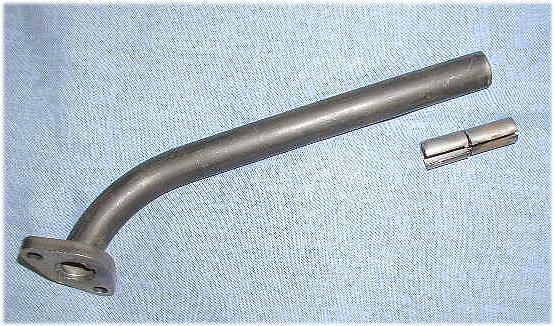 Heat riser leg repair sections. 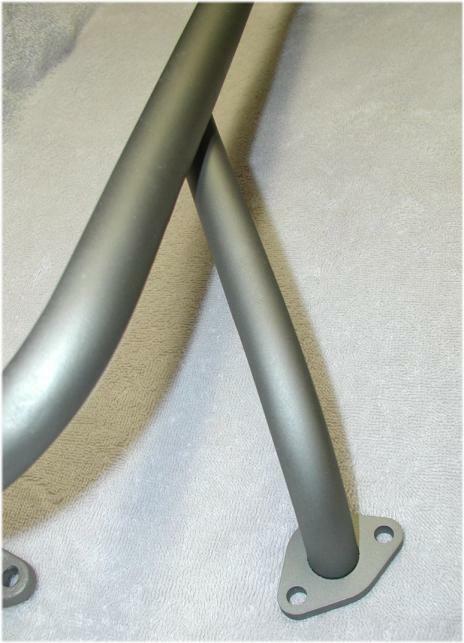 These sections come with a flange welded on and an alignment shunt to assist with installation. They are long enough to come within 1 inch (25mm) of the intake tube and can be trimmed to any shorter length as needed. 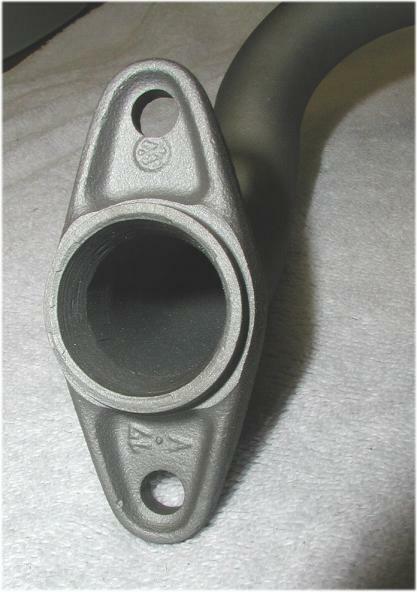 These sections can be used with either the jacketed or non-jacketed K manifolds. 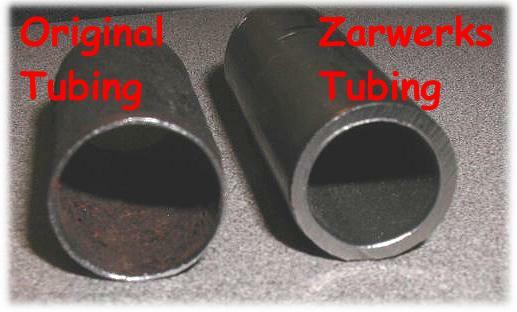 A comparison between the origianl heat riser tubing and ours.